Cover letters, eh? I’ve written three this week (so far) and it’s starting to feel like going into battle. So, how can we ensure our hard work will actually pay off and our cover letters will blow the enemy’s future employer’s ships out of the water? It’s time to get combat ready! Here are ten steps to creating a killer cover letter. You’ll be thinking like a weapon of mass destruction job-seeking champion in no time! Always address your cover letter to a person. A real person. The right person. No name on the job advertisement? I’m sorry, but you’re going to have to cold-call your wannabe workplace and find out. It shows you’re proactive AND gets your foot in the door. Bingo. As Sun Tzu says, it’s wise to learn as much as you can about your target. Job advertisement? Tick! Job description? Tick! Read the entire website and all social media channels? Do it! Find out their communication style and then copy their tone in your cover letter, making it sound like YOU ALREADY WORK FOR THEM. Ka-ching! DON’T start with: “I’d like to apply for the role of Email Marketing Manager for The Amazing Company Ltd. as advertised on Do Good Jobs. Make your first attack a good one. Leave them for dead. It IS a good idea to highlight relevant skills and experience, but repeating your CV? Bad move, soldier. Never, NEVER regurgitate your entire CV in your cover letter… Unless you want to appear useless AND boring, that is. 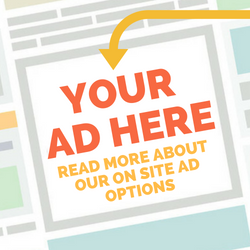 If you’ve done the research, you’ll know exactly what your target wants. So show them! Your cover letter and CV combined should tick all their boxes. Don’t leave an enemy target standing. Your cover letter is the perfect place to answer any questions the person reading your CV might have. Have weird-looking gaps between jobs? Explain them! Missing a needed skill? * Tell them how you’re taking that online course in project management. Never worked in Aotearoa before? Explain what kind of visa you have, and when it ends. Cover all those missing links. *But never apologise for skills you don’t have. Rookie mistake! If you’re looking for a Do Good Job, then it’s likely that your target holds their values very dear. Use the research you’ve garnered and outline how your values align with theirs. I love workplaces where staff are encouraged to be your whole self. But it’s wise to move stealthily on this one: getting to know each other will always take time. Don’t get too weird in your cover letter. Stay professional. Unless it’s a temporary, fixed term or contract role, employers will probably want you to stick around for a few years. Appease their fears by showing them your commitment to the role. This is especially important if you’re a millennial. We have a reputation for being as flaky as sausage rolls! Waffles are great. Waffling? Not so much. Better to be short and strong, like espresso. New to Aotearoa? Please don’t write that you will ring next week to follow up. Kiwis don’t like this. Instead, end your war with class. Thank your target for the opportunity and let them know you’re looking forward to hearing from them. Then send that Trojan horse in with a smile. Feeling armed and ready to return to the job application front? Me too! 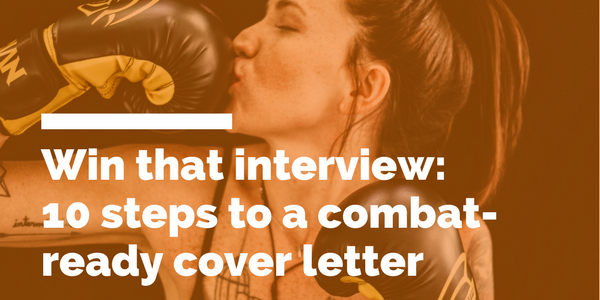 As Sun Tzu says, “Never venture, never win.” Do you have tips for writing an amazing cover letter? Share them in a comment below. Header image by Matheus Ferrero via Unsplash.